Want to get IP address, browser and devices that use your Netflix account? 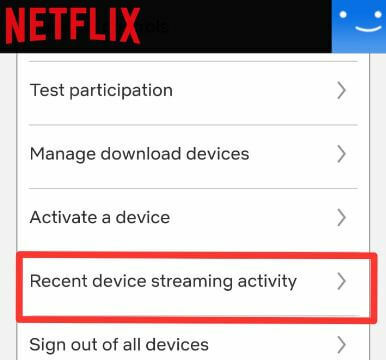 Here’s how to check recent device streaming activity on Netflix Android or iOS devices. 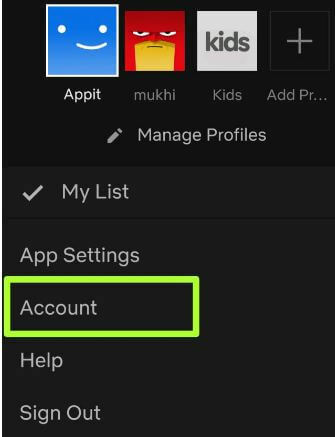 You can check recent activity on Netflix android using account settings in your Smartphone. 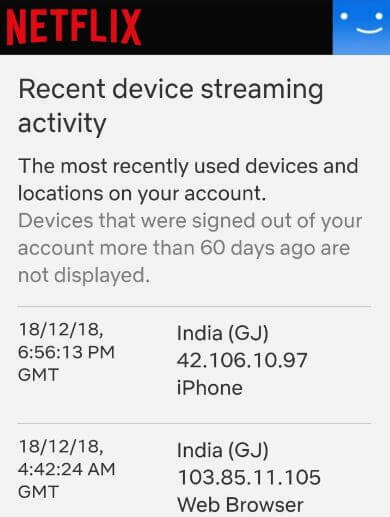 In recent device streaming activity settings, you can see most recently used devices and locations on your account. This Netflix viewing activity, you can see date, time, country name, IP address and which device use such as android phone or iPhone, web browser etc. You can see list of difference devices that sing in your Netflix account up to last 60 days. Follow below given step by step process to check recent device streaming activity on Netflix Android. You can check Netflix viewing activity list on android phone using below given settings. Here you can see various sections including membership & billing, plan details, settings and my profile sections. It’s quite easy to check Netflix viewing activity in your android or iOS devices. Scroll down up to plan details and you can see your current Netflix subscription plan. And that’s it. We hope this makes it clear how to check recent device streaming activity on Netflix Android phone or tablet. If you have any kind of trouble, tell us in below comment box. Stay and connect with us for latest updates.